Black Women Are Transforming Our Justice System! This summer, U.S. 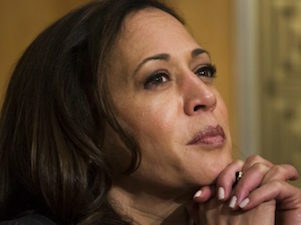 Senator Kamala Harris introduced the Pretrial Integrity and Safety Act, an unprecedented grant program for communities wanting to enforce local bail reform. If passed, this law will decrease the population of Black people caged behind bars and accepting false plea deals just because they can't afford bail. Combined with the growing #EndMoneyBail movement led by Black women and femme grassroots activist, Sen. Harris' Pretrial Integrity and Safety Act threatens the financial security of bail industries criminal justice reform. This is what 'power to the people' looks like. Tell your Senator: Slotter the bail cash cow that drives mass incarceration. Vote 'YES' on Pretrial Integrity and Saftey Act! I ask that you vote 'YES' on Pretrial Integrity and Safety Act, which is co-sponsored by Sen. Kamala Harris and will decrease mass incarceration rates through bail reform. It is proven that the use of money bail increases jail populations while not assuring public safety. It also unconstitutionally criminalizes people who are too poor to pay bail fees. Take a step toward dismantling mass incarceration and vote 'YES' on Pretrial Integrity and Safety Act.